Our teams monitor constantly current technological developments, scout actively for new products that can be integrated in our pneumatic transport systems. Thus we assure the implementation of the latest technologies as well as a broad product range with intelligent components that interact with each other and with other systems. This smart systems approach ensures that all electronical and mechanical system components are always ready and steady in service – even in 24 h operation. The R&D departments make sure that new ideas and products are compatible with our already existing systems and technology. We aim to fuse continuity and technological progress, so that new features can often be refitted to already installed products. This downward compatibility and adjustability of new electronical modules makes us a reliable partner for the longterm. It keeps customer investments up-to-date and adaptable to changing needs. 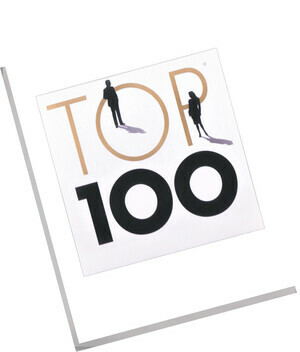 On this basis HÖRTIG Rohrpost has achieved huge innovation potential, recognized with the “TOP 100 SMEs” in Germany. Due to the internal R&D department the “HÖRTIG Air Brake” for a gentle arrival of carriers was patented. Our “HÖRTIG 3-way diverter” received the gold medal by the Bavarian government. Our station which can be built into tables received the gold medal by the Bavarian government. Development of the pneumatic transport system “Jumbo” which is able to transport good with a weight of up to 10 kg. Design of the completely process-controlled system H61E “Evolution” in CAN BUS technology. Development of the first conveyer tube with a diameter of 500 mm for large goods. Registration of a patent for our automatic filling system. Development of the biggest carrier in the market for conveyer tubes 160 mm with an internal diameter of 123 mm. The carrier which suits an arc radius of 800 mm is made of unbreakable material. Launch of the new smart system generation H61F “Technology”. HÖRTIG Rohrpost is part of the joint research project “Cargo Cap” of the Ruhr-University Bochum. This project has been investigating the options of transporting cargo through subterranean tubings. This research project has been supported by the ministry of economics in North Rhine-Westphalia. In the medium term the installation of a system of tubes with a diameter of 1.60 m is planned in the Ruhr area. 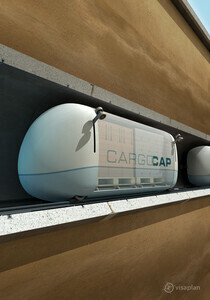 Cargo Cap aim to relocate the transportation of goods from the jammed streets into the underground. The team of developers shares the vision that every private household should be linked to this future activity network, so that every house could directly be supplied with goods ordered online. The project shows the diverse range of possible applications for pneumatic tube systems and the technologies applied in them today. The technology we develop can play a major role in future logistics solutions in-house and far beyond.